You would by now have created your own Overview Page application, and also played around with different card types. In this blog I will be getting into the details of adding table cards. 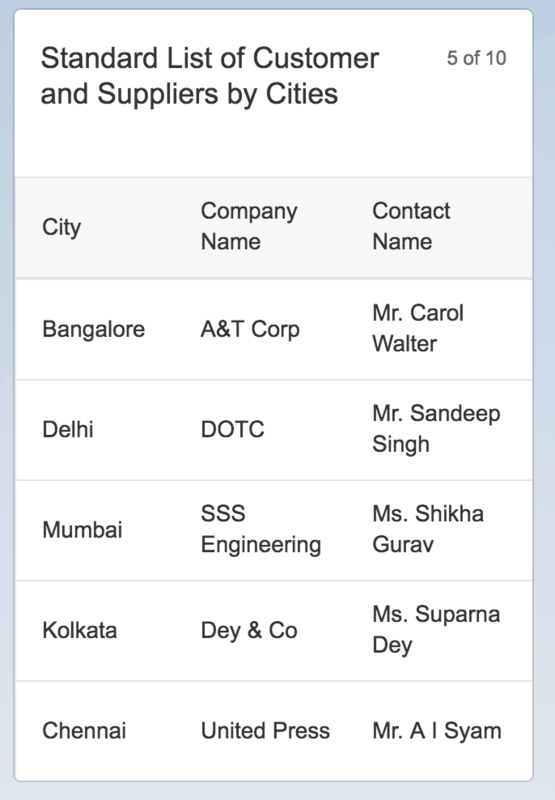 Navigation concepts are similar for both list and table cards and you can refer to List card blog to check the details. This blog will be updated with features for SAPUI5 1.52 by mid Feb 2018. Do send in your feedback and queries. One of them how can I use filter on list car header like as below image? Second one how can I navigate to another sapui5 view when onclick card header? The filter at card level is not supported. To navigate from header you will have to use identification Annotation. How to use identification Annotation. Do you have any documentation? You can look for UI.Identification for EntityTypeNorthwindModel.Customer_and_Suppliers_by_City at https://github.com/Prasita/OVPTableCard/blob/master/webapp/localService/NorthWind/annotation0.xml for an example. I could navigate new webpage with identification but I try to navigate new sapui5 page. 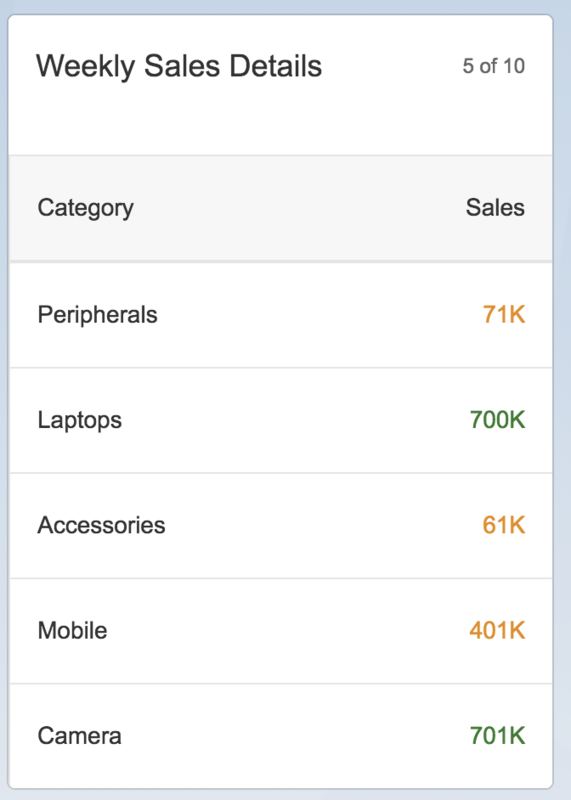 Another problem is that on OVP, I couldn’t add any table or custom component under the cards. So clearly I want to navigate new sapui5 page in same application. 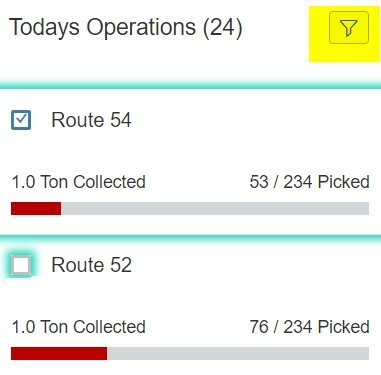 I click to overall operation status then navigate another sapui5 page like below. This page contains cards and table. if yes, how can I do? 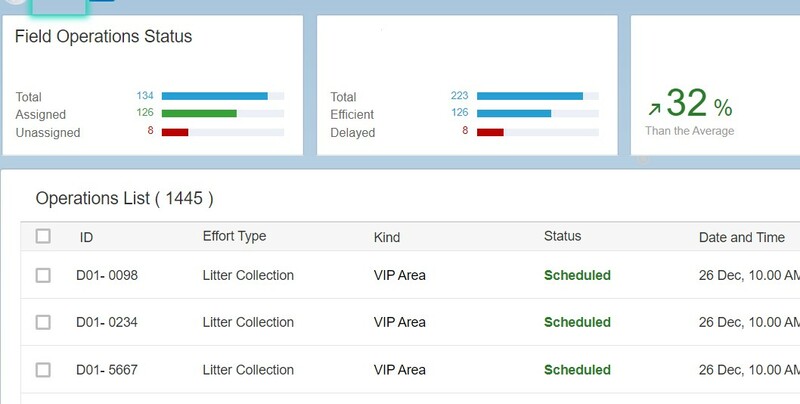 If the target application is also a UI5 application and is available via FLP, you can use DataFieldForIntentBasedNavigation within identification annotation and provide the required Semantic Object-Action to access the target app. My target is not application, it is page in same ovp application. Another problem is that I couldnt use both card and custom list in same ovp page. For the navigation to work the target needs to be registered on FLP with a semantic object – action. A mix of regular ovp cards and custom cards is supported. Regarding filtering, do you know if it is possible to apply card filtering using custom filters (link)? I was able to set up custom filters in the Smart Filter bar as explained on the provided link, but I can’t apply filters only to specific cards, all cards are affected by the filtering. Thanks in advance, any hint is really appreciated. I created a Table card, but I wanted to navigate from table card to object page for each line item. Any idea how we do this. This is done using identificationAnnotation. You can find additional info on Card Navigation here. Please note that the target has to be a different application. Thank you for excellent blog again ! I tried to look for a way to to have line item values with decimals but did not find any annotations. Is there a way ? Want to display values in the screenshot with at least one or two decimal places. If the scaling is done (Eg 71K) the decimals won’t be shown.